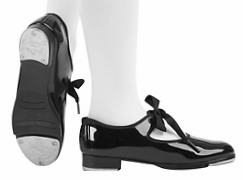 At ten years old I was an uncoordinated and bashful kid, but there I was in 1950, performing with a tap-dancing group of girls of the same age on stage before an audience of mostly proud parents. As the pianist played John Philip Sousa’s march, “Stars and Stripes Forever,” we tapped our feet and twirled tiny batons in approximate unison. Our costumes, sewn by our mothers, were sleeveless white piqué dresses with short circular skirts. 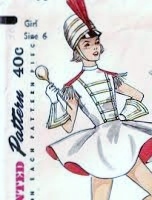 I suppose the horizontal rows of red rickrack across our chests were meant to suggest the braiding on military band uniforms. We were the youngest of several tap-dancing groups, assembled according to the age or skill of the dancers, and this recital completed my first year of dancing lessons at the Julia Buhl Girls’ Club in Sharon, Pennsylvania. During the early part of the twentieth century, Frank H. Buhl and his wife, Julia Forker Buhl, used much of their fortune from Sharon’s steel industry – Buhl Steel Co., Sharon Steel Castings, and Sharon Steel – to provide recreational and health facilities for their community. Frank Buhl must have been highly influenced by his father, also a steel magnate, who had owned the Sharon Iron Works and founded the Christian H. Buhl Hospital. Among Frank and Julia Buhls’ many gifts to the area were the F.H. Buhl Club, the F.H. Buhl Farm, and support of a free public library and his father’s namesake hospital. A trust was established and under supervision of the F.H. Buhl trustees, continued supporting their gifts. After Frank Buhl’s death in 1918, Julia Buhl continued giving to charitable causes. By the mid-1930s, she opened a girls’ club which I remember as a tall red-brick building just off State Street, the street on which their mansion is still located. To travel the few miles to the club from our homes in Sharpsville, we girls took the public bus, our black patent leather tap shoes dangling by their grosgrain ribbon ties from our hands. I don’t recall whether we paid dues for the dance lessons or club membership, but we did need a coin or two for the bus. I attended lessons at the girls’ Buhl Club for four years, from 1950 to 1954. I remember dancing at subsequent recitals to “The Hot Canary,” “Tea for Two,” and “The Blue Tango” in costumes ranging from a brown and yellow canary outfit to a blue blouse and skirt ensemble. As my eyesight dimmed, a result of undiagnosed myopia, I struggled to learn the new steps that were introduced at each session. The teachers were patient, sometimes singling me out to demonstrate the steps to me very carefully, probably assuming I was mentally challenged rather than visually so. Regardless of my shortcomings, hanging out at the Buhl Club was among the best experiences of my youth. Because of the Buhls’ generosity and concern for others, I gained independence, confidence, and social skills in a grand old building set aside just for us girls. –Ann Angel-Eberhardt (SHS 1958), Phoenix, AZ, June 2014.